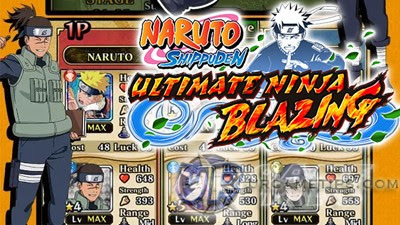 Here's a list of 4* and 5* Star healer ninjas, with their stats and skill sets that you can currently find in the Android and iOS mobile game: NARUTO SHIPPUDEN: Ultimate Ninja Blazing. - 5* ninjas can be upgraded up to Lvl 70, while 4* ones up to Lvl 50. - Current Sort: by jutsu type (Ninjutsu or Field Skill) > Element > Stars. - It is also best to keep and upgrade at least 2 copies each for certain mono-element based missions. 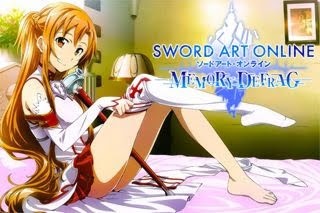 - These medical-nins are highly recommended because they can heal more damage per turn and on target. Field Skill Reduces the chance receiving immobilization by 15%-20% (Not Field Skills). Field Skill Restores 110-160 health. HP STR Buddy Skill Boosts attack by 70. Field Skill Restores 120-170 health. HP STR Buddy Skill Boosts Attack by 140. HP STR Buddy Skill Restores 150 HP. Field Skill Reduces Skill-elemental damage by 15%-20%..
HP STR Buddy Skill Restores 120 health. Field Skill Restores 130-180 health. HP STR Buddy Skill Restores 150 health. Field Skill Reduces the chance of receiving attack reduction by 25%-30% (Not Field Skills). HP STR Buddy Skill Restores 200 health. Field Skill Restores 150-170 health. - These medical-nins can only heal when there are allies around them, and will activate every after an ally's turn. - Very useful units for stalling too. HP STR Buddy Skill Restores 200 HP. Basic Info Range: Mid; Phantom Castle Reward; Limit Break Capable! HP STR Buddy Skill 20% chance of dodging an attack. HP STR Buddy Skill Reduces the chance of your attack being reduced by 15% (Not Field Skills). - These are not medical-nins but has ninjutsu effects that can also heal. - More healers will get added as the game goes. - If you can't find a suitable healer for a specific mission, you can also try using ninjas that can Tank (Barrier Type), or do Perfect Dodges.